Teenage girls aren’t exactly the easiest people to buy gifts for many different reasons. Keep in mind that teenagers are establishing their independence from their parents, oftentimes resulting in emotional conflict. Parents must therefore pour more time and effort into choosing the best gifts for their teenage daughters. We suggest choosing gifts that will address the changing interests of your teenage daughter. Electronic gadgets, makeup, skincare products, personal hygiene products, and hobby kits are among the more popular options. We also recommend shopping within your budget since, even among teenagers, it’s the thought behind the gift that counts. Here are 20 of the best gifts for teenage girls that we found online. You can give these items on special occasions, such as birthdays, Christmas Day, and Valentine’s Day, as well as to commemorate personal milestones. Most teenage girls like to post photos on social media, but many of them are also discovering the joys of print photography. The Instax Mini 8 is a great gift for them since these allow for instant printing of their shots. 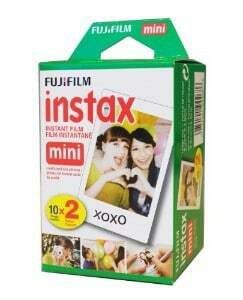 The camera already comes with a 50-shot roll of film, so your daughter can use it out of the box. The camera has several features that make it easy to take beautiful shots, even if your teenager is an amateur, such as the automatic exposure requirement. What's Great About It: We would like it to be slimmer, but since it takes great photos, we think that your teenage girl will be able to live with its size. Besides, its instant printing capability coupled with its built-in features for taking well-focused, well-exposed photos are big pluses that they will love. Teenage girls typically veer away from the bright prints and vivid colors of their childhood. 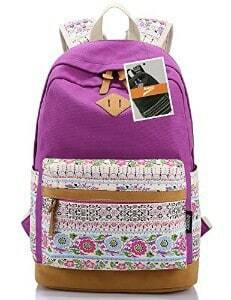 This Casual Canvas Backpack is then a great choice as it’s in a solid color with Bohemian embroidery at the bottom. The durable canvas material and spacious interiors allow for several items to be securely stored in its compartments. Aside from the pockets in the main compartment, there is also a glass holder and a metal ring. What's Great About It: We like its preppy style suitable for both school and non-school uses. The backpack will be able to withstand a few years of use, thanks to the thick canvas and sturdy construction. The padded cushion adds comfort too, while the striking design appeals to your teen’s style. Colors are still a big part of most teenage girl’s lives, although there are also changes, such as from bright pinks to pastel pinks. 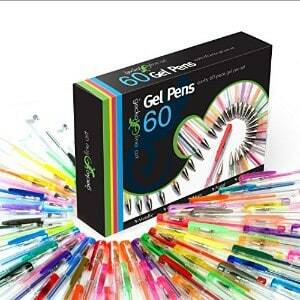 Your gift of this 60-piece pen set will be well appreciated because it covers many of the hues that teenagers love. You can give it to your aspiring artist for making her early works of art or to your teen who just likes colorful pen collections and wants to grow her creative style. What's Great About It: The pens not only come in 60 different colors, but in several types too, including metallic, glitter, pastel, and neon colors. These can also be organized in a reusable case ensuring that every single one can be used to its maximum capacity. The fact that there are 60 colors encourage teens to use their imagination in creating works of arts. Teenagers, especially girls, are more conscious about their physical appearance including their toenails and fingernails. Pedicures and manicures, including nail art, are all the rage among them so this nail clipper set is a great gift for your stylista. You can add a few shades of nail polish to the set to complete the nail spa experience at home. What's Great About It: The set doesn’t just allow your teenage daughter and her friends to perform manicures and pedicures. They can also use remove dead skin cells from their feet and control their acne. 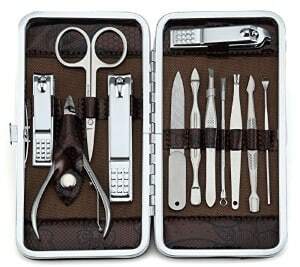 The set also contains a peeling knife and blackhead remover aside from the nail clipper set. The tools are also made from high-grade stainless steel so their durability is ensured. With nail art being a well-loved trend among teenage girls, parents will be in their good graces when they give them a nail art kit. This set contains virtually everything they will need to have pretty nails, from painting fingernails and toenails in dazzling patterns - abstract to nature-inspired. 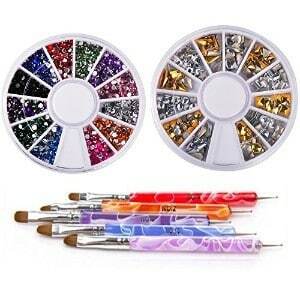 The 20-piece set contains nail brushes in different styles and a dotting pen. The nail brushes are made of water-resistant acrylic materials. What's Great About It: We like that the nail brushes can be used for body art and face painting, giving your teenager the opportunity to practice her art in other forms too. The brushes and pen also allow her to practice the physical skills needed to make works of art, such as steady hands. We like the instructional e-book too, because of its clear instructions and useful tips. Teenage girls are experimenting with their looks, and are in search of their personal style. Your gift of the Glamour Girl Makeup Kit will be appreciated, especially as it contains virtually everything your teenage girl needs with regards to makeup. 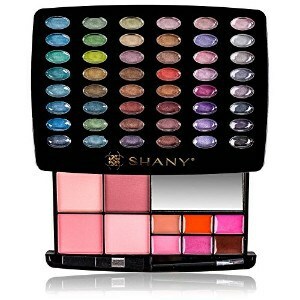 These items include eye shadows, blushes, and face powders in various hues suitable for most skin tones. What's Great About It: We read that teenage girls love that Shany cosmetics are mineral-based so these don’t have adverse effects on sensitive skin. Teenage girls are prone to acne, but mineral-based makeup typically doesn’t worsen it. Plus, makeup in youthful shades contributes to their confidence in their appearance. Since a makeup kit will be incomplete without lipstick and lip gloss, parents may want to add this lip gloss set. Your teenage daughter will appreciate lip glosses more than lipstick because of their lighter feel and luscious sheen. You will like their appearance too, because these are more youthful than lipstick. They are perfect for your daughter's young skin and current style. What's Great About It: We like that the lip gloss colors are suitable for use by teenage girls, and are not too girly or too womanly. These are also in different finishes from sheer to opaque and matte to glittery. Your teenager’s lips will be healthier as well, since the lip glosses contain aloe vera extracts and vitamin E, which nourish their lips. Listening to music has mental, emotional and social benefits for teenagers, although they may just like music for personal reasons. When you give your daughter the P6 headphones, you’re encouraging her to listen to her preferred music – and you’re spared from listening to it, especially if it isn’t your kind of music. The headphones feature ear pads, broadband technology, and 6 hour playtime - more than enough for your teenager to get through all of her favorite tunes. What's Great About It: We like its wireless capability so that your teenager can enjoy her music anywhere, anytime. Your teenager will also like the clear and crisp sound, a must for high-quality headphones and for maintaining ear health. The long playing time means that they can be taken on road trips, providing her with hours of entertainment. Sharing music is also one of the joys of being a teenage girl. These Bluetooth speakers will make a great gift for this reason, especially as they don’t require wires and cables to use the speakers. 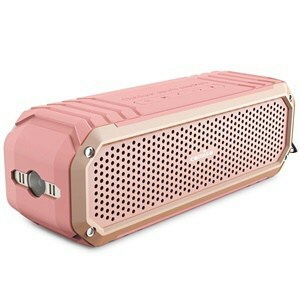 The lightweight 10-watt speakers are a boom box in miniature which can be used for 12 hours on one full charge. The speakers are fully-charged in 5 hours. What's Great About It: Teenagers like that the speakers are sand-proof and water-resistant so taking them to the pool or beach is a big yes. 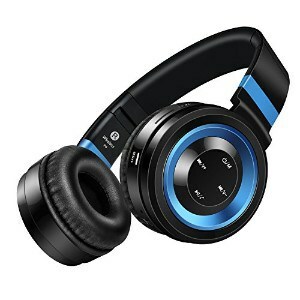 We like that they can be connected to electronic gadgets with music playlists, such as an iPhone, thanks to its 20 meter Bluetooth connectivity. 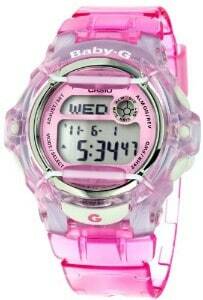 Teens also like its compact design and pink color. 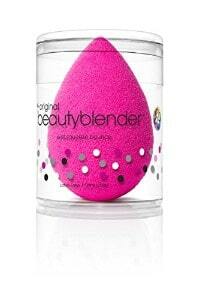 Teen girls who have more advanced skills, this beauty blender makeup sponge is a great gift too. Your teenager can use it when applying foundation and primer on her skin, either in its dry or damp state. You don’t have to worry about it adversely affecting your daughter's sensitive skin – it’s latex-free as well as washable after each use, allowing her to maintain hygiene efficiently. What's Great About It: We like that it can be washed after every use, a must to ensure that the bacteria accumulating on its surface don’t come into contact with her skin. In fact, parents should advise their teens to wash the sponge as often as possible. This is true even when the sponge has antimicrobial components. The teenage years are stressful because the teenagers are exposed to new things, people and experiences. 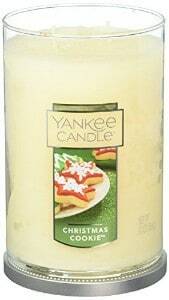 The gift of this fragrant candle can contribute to your teen’s stress reduction efforts. You will also like that the essential oils that this candle includes have a pleasant smell and a calming effect, as well as its 45-hour continuous burn capacity. What's Great About It: We like the Christmas cookie tumbler, which can be displayed on a side table and repurposed when the candle has burned away. Be sure to instruct your teen about the need to exercise fire safety measures, such as putting it out when she’s not in the room or when she’s going to sleep, and keeping it away from curtains. Teenage girls also like to express themselves through their works of art, aside from their personal expression through makeup, clothes and shoes. 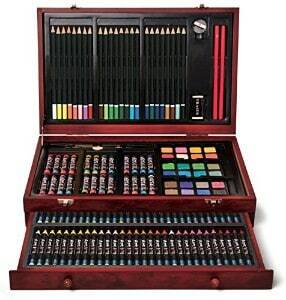 This 142 piece art set makes it possible for your own teenager to make her early masterpieces. The set already contains most of the art tools she will need, including pastels, colored pencils, crayons, and watercolors – everything that she will need to add is paper and her creativity. What's Great About It: We like the 142 pieces of art tools, but we also like the wooden case, perhaps the most out of the whole kit. Your teenager can reuse it for other purposes when the art materials have all been used up. With the Internet Age, teenagers like to be connected to their family and friends online. 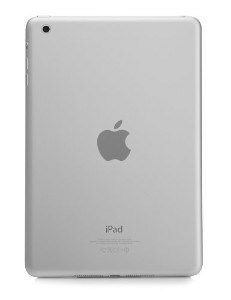 The iPad Mini as a gift then makes sense because it’s a Wi-Fi capable device that allows teens to stay connected to everyone that they love and care about. The device also has several teen-friendly features including 16GB of storage, a 7.9 inch LED-backlit screen, and a 5 megapixel camera. What's Great About It: Parents and their teens love the iPad Mini’s compact size while it doesn't compromise on its powerful features. Plus, it’s always nice to have Apple devices as they are such high quality. For teenage girls, smelling nice is part of looking and feeling good, and it also helps them develop their own unique style and sense. This Guess perfume will make your teenager smell beautiful, especially since it has a girly scent with sporty notes. Plus, you don’t have to wrap it since it already comes in a striking pink leather pouch. What's Great About It: We like that the bottle contains 2.5 fluid ounces of great perfume, which should be more than enough to last for several months. It’s also a Guess perfume so its scent appeals to teenagers. With their increased awareness about physical appearance, teenage girls appreciate beauty products as gifts. Even your teenager with flawless skin will love this facial mask because it contains ingredients guaranteed to maintain her great complexion. These ingredients include shea butter, Dead Sea mud, sunflower oil, aloe vera extract, and jojoba oil, among others - all of which are perfect for your young lady's sensitive skin. What's Great About It: We like that the facial mask can be used by mothers and daughters alike. Think of it as another way to grow your mother-daughter bond. 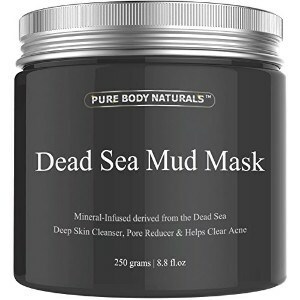 The facial mask is also excellent at removing deep-seated dirt from the skin, thus allowing the skin to have a healthier glow. Teens love Apple’s devices, as is the case for their parents. This iPhone 6S case is then a thoughtful gift for your teenager who has the accompanying device, and if they don't, then you can give both as a combination gift. Your teenager will like the feel of the super-soft, ultra-flexible plastic case in her hands, as well as its glossy look. What's Great About It: We like its more practical function in protecting an iPhone 6 from premature damage from scratches, dents and nicks. The raised lip and durable plastic are its best features, although the fabulous look is a big draw for teen girls. 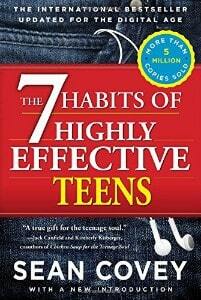 Now is the best time to start instilling the habits of highly effective people in your teenager. Sean Covey teaches teenagers practical habits that can make them better people and, hopefully, successful adults. Your teenage daughter will learn useful things like building good friendships, resisting peer pressure, and achieving their life goals. What's Great About It: We like that the book teaches useful things that teenagers can benefit from, if they adopt the habits. You, as the parent, will love the positive changes that your teenage girl will experience after reading the book. Teenage girls also love building toys because these promote their interest in science and technology, particularly in engineering. 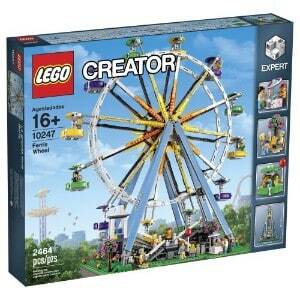 This Ferris wheel building kit can appeal to your teenager with aspirations to be in the engineering field. You and your family can even help her in building the model, which has over 2,400 pieces and moves like a real Ferris wheel too. What's Great About It: Lego continues to give teenagers toys that can keep them occupied for hours on end and help them learn different skills. We like that this building kit makes it possible for teens and parents to spend quality time bonding with one another. 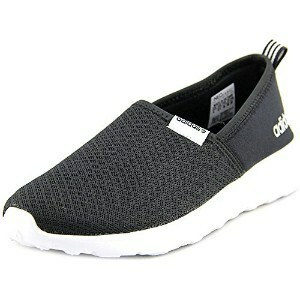 Stylish, comfortable, and durable are the three words that come to mind with these sneakers. These are the qualities that make Adidas shoes a favorite among teenagers who favor sneakers over high heels. Your teenager will likely love the contemporary styling, thanks to the artistic prints, coupled with the rubber sole and mesh uppers, and they are perfect to wear with almost every outfit. What's Great About It: We like that these Adidas shoes can be used for a wide range of activities. These can be used as your teen’s school shoes as well as shoes for running, hiking and playing different sports. With its pink color, the striking design, and with practical functions this watch will instantly be a favorite for your daughter. You will like giving this digital sports watch to your teenager for these reasons. Your teen, in turn, will like getting it because it blends well with her youthful, trendy look while still serving its basic function of telling the time. What's Great About It: We like that it is water-resistant up to 200 meters, which makes it suitable for most water-based activities, except for certain sports like deep water scuba diving. You and your teenager will like its Japanese quartz movement, shock resistance, and time modes too. Choosing the right gifts for your teenage girl won't be such a headache when you know what to look for and where to look for it. We have identified dozens of possible gift ideas for teenagers from art and crafts sets to electronic gadgets and their accessories. We suggest choosing gifts based on your teen’s current preferences, such as the backpack and watch if your daughter is more practical, the makeup set if she loves getting pretty, or the Lego set or art kits if she loves working with her hands. Teens want gifts that they can actually use, perhaps even flaunt in front of family and friends. These things should make your teenager feel good, look good and smell good, even help them to do good things (i.e. Sean Covey’s book). The usefulness of the objects will determine whether their recipients will actually appreciate them or not. Parents will obviously want their teens to be safe when using their gifts. The toys and gadgets must therefore be made of non-toxic materials, while the makeup and skincare products should be made from hypoallergenic products. We don’t want sensitive skin to suffer from allergies, after all. Like us, parents also want their teens to enjoy high-quality products. When we say quality, we are referring to the durability of the materials and construction of the objects, as well as the effectiveness of the cosmetics. Before we narrowed down our list to the top 20, we tested many of the products and read their consumer reviews. We wanted to ensure that the products recommended here will provide parents and teenagers with the best experience possible. For good reasons, the teenage years are likely the most exciting and confusing times in any person’s life. The changes, many of which appear sudden and significant, come from virtually all sides too. In a teenage girl, the changes in her body can be both a positive and negative thing. On the positive side, her increasingly feminine figure with larger breasts and wider hips becomes a source of pride as she can now wear beautiful outfits that flatter her and build her confidence. On the negative side, she may also experience insecurities about her looks, especially with the unrealistic standards of beauty found today. Keep in mind, nonetheless, that no two teens are alike in their physical development and their acceptance of the changes that come with it. Your teen, for example, may be more accepting of her body than many of her peers or her own sisters. Along with the physical changes come the mental and emotional changes too. Parents should be prepared for these changes since their teenage daughters may seem to become strangers overnight. Teens aren’t rebelling against their well-intentioned parents per se, but are more likely asserting their growing sense of independence. In a typical teenager’s rebellion against adults and authority figures, rapidly changing moods, defiant behavior, and resistance against authority are common. The degree of rebellion and the accompanying behaviors vary from teenager to teenager, but these will have a significant impact on their relationships. Keep in mind that teen girls are forming their sense of identity and, in the process, establishing their independence from their families, all while forming peer groups. The emotional and verbal conflicts with their parents, teachers and authority figures are part of their changing emotional makeup. But parents shouldn’t despair about these changes in their teens. When you practice respect, understanding and tolerance in your dealings with them, you’re both more likely to come out of the teenage years with your relationship well intact. You will also look back into your own teenage years and find empathy for your parents too. We hope that we have enlightened parents about the best gifts for their teenage daughters as well as deepened their understanding of their behaviors. We, of course, caution parents against using these gifts as “sweeteners” for greasing their familial relationships. Parents should ideally spend time with their teens so that they remain important parts of their lives.